Sport utility vehicles, especially the front wheel drive kind, are essentially station wagons for those who don’t want to be seen in a station wagon. Whether it’s the perceived ruggedness or the more sporty looks, small SUVs have been a hot market for young urbanites ever since the RAV-4 and CRV entered the scene many years back. With gas prices remaining high and car shoppers looking to downsize with the recession, this segment of SUV’s has continued to blossom over the past few years. We recently received the slightly redesigned Nissan Rogue SV front wheel drive, which comes with new bumpers that give the sport utility a less egg-shaped profile and gets rid of the Pokemon face, a criticism of the earlier Rogue. Does the redesigned Rogue SV make the grade in the $25,000 and under field of cute-utes? 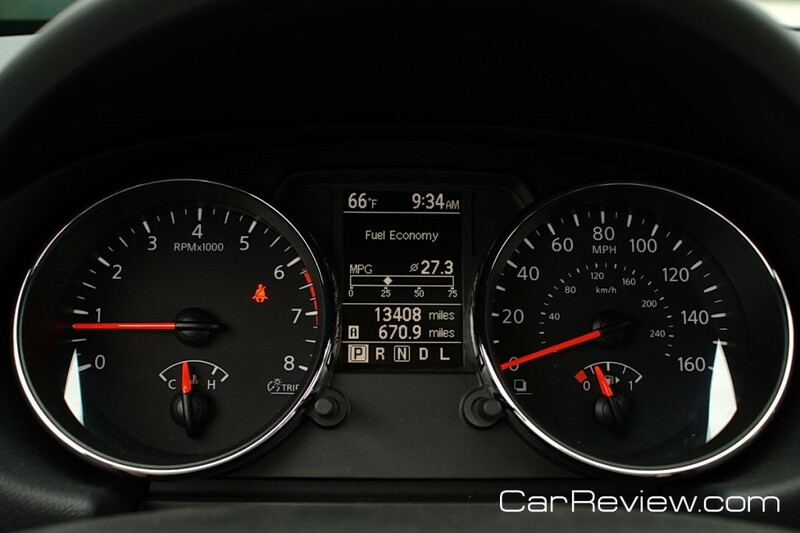 Read on…..
Next to sedans, this is probably the most crowded field of vehicles, with every major manufacturer at the table. The recipe is simple: take a small car from your line up, design an SUV body around it, make some minor suspension and drive train modifications, and cover your engineering costs by charging $3-$8k more per vehicle. Can you say great profitability? 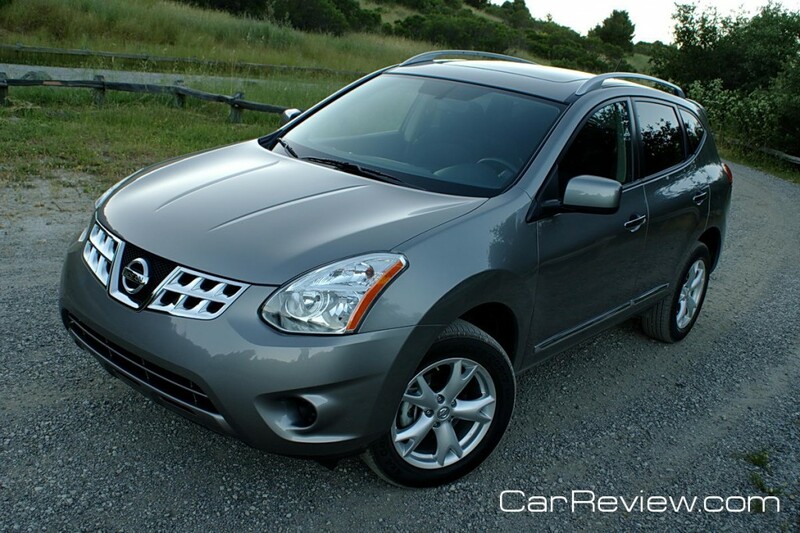 The Rogue took its design origins from the larger Murano, while using the chassis of the compact Sentra. Like we mentioned before, the Rogue has shed its Pokemon face with a new front end, but the overall design remains the same. The Rogue features a high roofline, which makes for great headroom, but also has sides that come in to provide a sleeker look. Unfortunately, this slightly affects shoulder room for our back seat passenger, and the quarter window behind the rear side window is all but useless when looking to change lanes due to a thick pillar design. In Nissan’s defense, the thick pillars are there for side airbags. Given the choice between safety and viewing out the window, we say use the side mirror. Let’s get this out of the way: the Rogue doesn’t drive like a Sentra, and it might actually drive better. There’s something about this SUV that creates a different feel, and we think it’s due to something as basic as seat position. Because of the higher roofline and stance of the Rogue, you sit in a commanding position above most passenger car traffic, while still retaining the benefits of a decent handling car chassis. Run the Rogue within legal limits and it will return a combined city-highway mileage of 26 MPG. This comes from a combination of being somewhat lightweight (in comparison to the competition) and the use of the two speed (read simple) Xtronic CVT transmission, which delivers power efficiently under normal conditions. 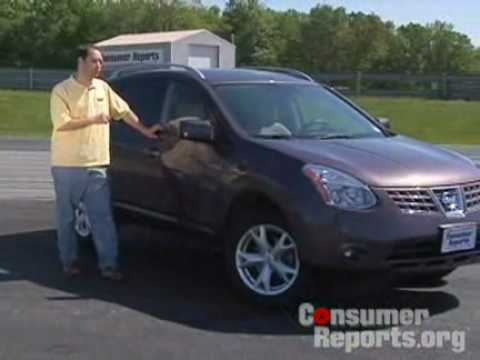 The Continuously Variable Transmission has been a Nissan hallmark since the inception of the Murano. The only downside is when you have to get on the accelerator, as it’s slow to react and gets a little noisy when pushed hard. 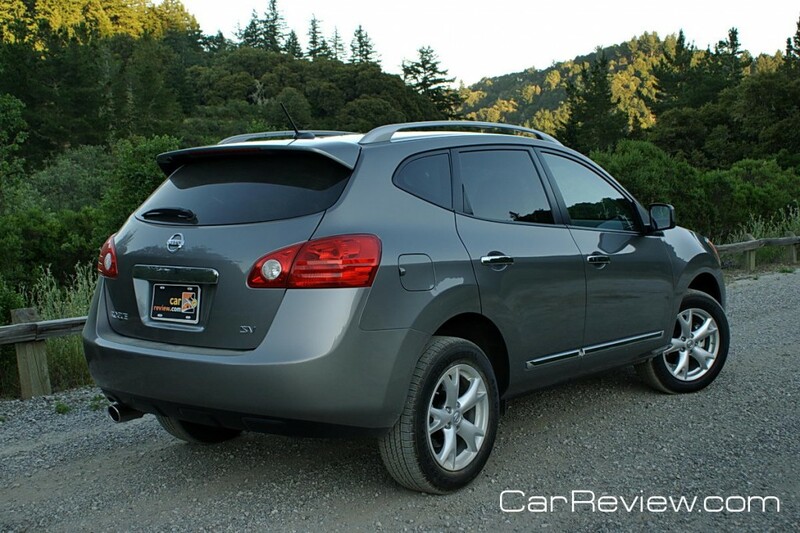 The Rogue is based on the Sentra platform, so it’s not “…basically a taller Altima”. This happened in Mazatlan, Mexico. I took a drive test last saturday and took it to highway speed and a little more. At about 85 mph I heard a noise that sounded like someone blowing it’s nose hard (in a comic way) like in cartoons, you know. (toooooot!) The noise came twice and afterwards it was time to get off the highway back to Nissan dealership. I’m not much of a car expert but it could it been the CVT gear belts ?? The dealer said he did not hear anything and I’ve been searching for similar reports on the net. I liked the car overall. It wasn’t the 4WD that I wanted but I liked the handling, acceleration and suspension (which is very important in my Maz’ pothole infested streets. Great comments from Tommaso. Out of the box we were impressed with the Rogue, although my favorite handling compact SUV has been the Mazda CX-7 (so far). Tire noise is easily remedied with a new set of tires. Compare the noise ratings on tirerack.com to find a good set of light truck tires that are much quieter on the road than the Continental Contacts. I think the engine is great for a small 4 cylinder engine. It’s rev happy like a hyped up honda, but gives great performance even when loaded down. When pushed hard it revs to red line and really gives a good surge of passing power, unlike some small engines that just make a lot of noise and go no where. It’s handeling is amazingly impressive! This is the best handeling SUV or cross-over I have driver, even rivaling some popular sports cars. It sticks to the road and rides around turns like a firmly planted go-cart. If you didn’t know you would believe you were in a performance vehicle. I didn’t experience much body lean at all and I really gave her on the turns. The visibility is not very good compared to the competition. It gives up visibility for style, but people that would be interested in this type of cross-over probably won’t find it too much of a deal breaker. Younger buyers will more than likely be attracted to this vehicle and looks is important to this crowd. The one thing that bothered me the most was tire noise at highway speeds. The car is solid with no creaks or rattles, but the tire noise is loud to the point of being annoyning. I found cranking the tunes on the more than adequet stereo sufficed to elliviate the racket. I don’t know if changing tires will help, but I imagine it would to some extent. Just some random things I thought I would mention. Some go against what was written in the article and this could be due to a number of things. But I will say I really like this vehicle and if I were in the market for a cross-over this would be it.